Boeing on Wednesday met with "more than 200 airline pilots, technical leaders and government regulators" to unveil new fixes to the MCAS software system for its 737 MAX series jet, following new scrutiny and investigations into what caused 2 MAX 8s to crash in less than 6 months, killing a total of 346 people. Catch up quick: The Maneuvering Characteristics Augmentation System (MCAS) is an automated system Boeing installed to prevent the aircraft from stalling (losing lift) by pushing the plane's nose down in particular circumstances. A malfunction with this system, where it appeared to activate based on faulty readings from a flight sensor, is the suspected cause of both crashes. The MCAS will now compare inputs from both angle-of-attack (AOA) sensors. If the sensors disagree by 5.5 degrees or more with the flaps retracted, MCAS will not activate. An indicator on the flight deck display will alert the pilots. What's next: Boeing plans to send the software updates and new plans for pilot training to the Federal Aviation Administration for review by the end of this week, according to CNBC. Reality check: The new updates are nowhere near close to getting certified, given there numerous ongoing investigations by multiple U.S. and international agencies. 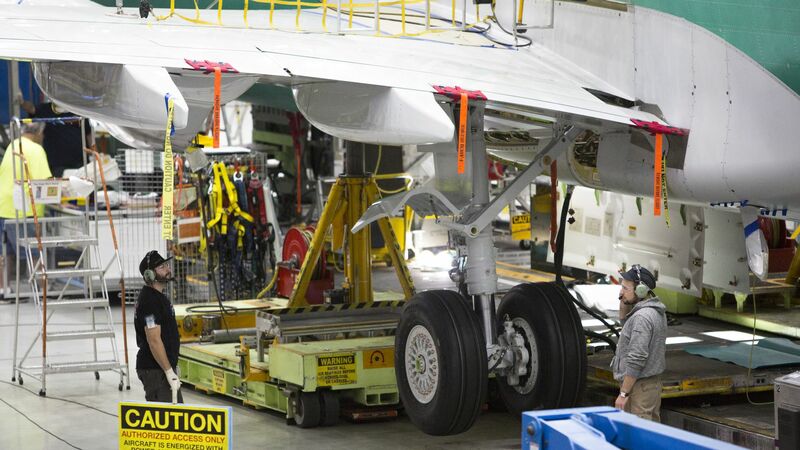 The FAA itself is currently under scrutiny for not grounding the 737 MAX jets faster and for delegating certification activities to Boeing.